Villanova Head Football Coach Andy Talley started his non-profit foundation in November of 2010. However, Coach Talley’s involvement in providing opportunities to join the Be The Match Registry® began nearly two decades earlier in the fall of 1992 after becoming aware of the devastating odds facing those in need of bone marrow transplants. Every three minutes, someone is diagnosed with a blood cancer. Each year, tens of thousands of patients diagnosed with life threatening diseases, such as leukemia or lymphoma, find themselves in desperate need of a transplant. The chances of a patient finding a family related donor is only 30%, leaving most patients to rely on an anonymous donor from a registry. With access to ninety young, healthy football players, Coach Talley began his mission to educate and promote awareness about the importance of marrow donor registration by holding his first on-campus testing in the Jake Nevin field house at Villanova University. Coach Talley and his team registered over 200 student athletes and coaching staff from the Villanova University community that fall. Coach continued to organize registration drives over the ensuing years on the Villanova campus, tirelessly raising funds from independent donors to cover the cost of tissue-typing kits (which now consist solely of a cheek swab). 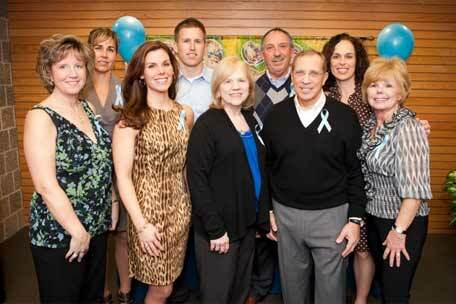 Then, on one spring day in 2008, Coach Talley received a phone call from Be The Match®. Be The Match® wanted to partner with Coach Talley to expand his on-campus drive efforts. Together they formed the “Get in the Game. Save a Life” (GITG) initiative. Over the past eight years, Coach Talley has enlisted over 90 other college football programs to participate in GITG. Each program hosts their own on-campus donor drives each spring. The football players span the campus, educating and recruiting people to take the cheek swab test, thereby registering themselves as potential bone marrow donors on the Registry. Since 2008, GITG registry drives have been responsible for adding over 84,000 potential donors. More importantly, there have been 489 transplants that have occurred with GITG donors! Because of our GITG program, 489 patients have been given a second chance at life they and their families desperately hoped for! In addition to the efforts made with the GITG program, the foundation also spends time hosting fundraising events to help support the expense of registering approximately 10,000 new donors each year. With a price tag of $100.00 per donor, and thus a $1,000,000.00 cost for each GITG season, funds are critical to not only sustain the program, but to help it grow as well. With his years of experience paired alongside tremendous support from the Be The Match, his college coaching peers, and the community, Coach Talley looks forward to growing his foundation and the GITG program into a national presence. Adding Donors…Saving Lives…One Campus at a Time! The Mission of the Andy Talley Bone Marrow Foundation is to increase the odds of finding lifesaving donors for patients in need of a marrow transplant by registering young, committed donors to the Be the Match Registry.